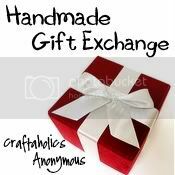 I found this excited activity -- Handmade gift exchange. I'm so interest and excited to join it, so I had signed up. Of course, I join the international section.